There’s no question Bellevue has changed since it was incorporated in 1953. This is one of my favorite videos providing a glimpse of what the early cityscape used to look like. There are many who don’t like the “new Bellevue” but with the growth of the city’s central business district, economy and population, things were bound to change. I’ve lived downtown for many years and love the lifestyle, though I’ve got to admit I still miss the Dairy Queen. Housing prices keep going up and available inventory keeps shrinking . . . this combination continues to drive prices upward, with no immediate relief in sight. With Eastside home values appreciating on average 10%+ per year, finding an affordable home can be challenging. 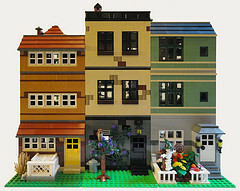 While the suburbs are popular with some buyers, the demand for urban living is on the rise. Buyers are seeking communities walk-able to workplaces, nightlife, arts and entertainment, transportation, schools and parks. Downtown Bellevue checks off all these boxes which is what makes it an increasingly high demand place to live. 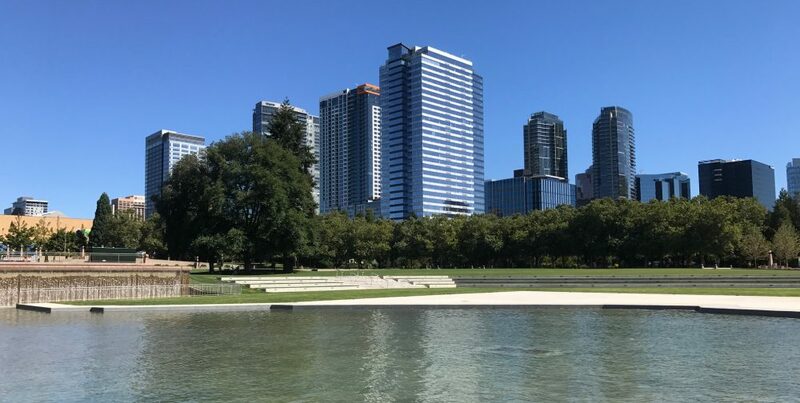 While “affordable” may not be the first word that comes to mind when thinking about downtown Bellevue real estate, there are many condo communities in or within a block or two of downtown with homes priced under $500,000. So far this year 166 condos have sold in the 98004 zip code; 45% of those sold for under $500,000. There are less than 80 condos currently on the market in the downtown marketplace (about half of normal); nearly 20% are priced under $500,000. Expanding the search to condo and townhome communities within a mile of downtown significantly increases your choices and still keeps the commute to work, restaurants, shopping and events at less than five minutes. Whether you’re a first time buyer, relocating here for a new job, downsizing from a larger home or giving up the ‘burbs for a city living, its possible to find the right fit for your lifestyle without breaking the bank. This five episode series produced by Realtor.com and featuring Elizabeth Banks reminds everyone that shopping for and purchasing a home requires humor and patience. With the mounds of paperwork required to obtain financing, weeks spent searching for a home, multiple offers, waiting to see if your offer was accepted, packing, cleaning, moving and spending more time with your Realtor® than you ever imagined you would . . . its easy to get overwhelmed by the stress and the process. Smile, have a cup of tea or glass of wine, enjoy the videos, and remember, you’re going to love your new home. 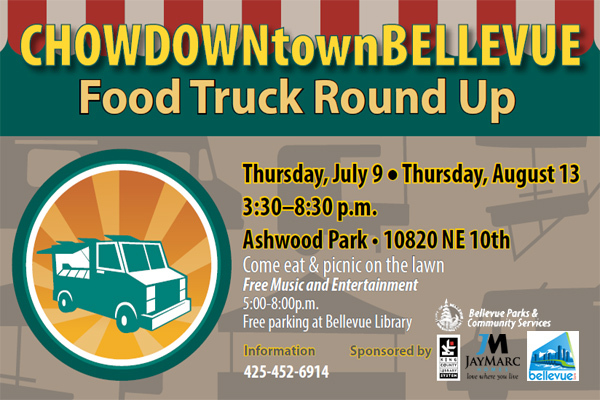 Its Bellevue’s second food truck round-up of the summer. This is a fun evening of entertainment and a wide variety of foods to please any palate. Ashwood Park, 3:30 – 8:30. Free parking at the Bellevue Library. Walkable neighborhoods continue to grow in popularity with buyers placing high value on access to workplaces, entertainment, shopping and dining without having to rely on a car. 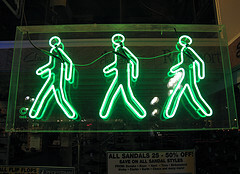 A home’s walkability is not only increasingly in demand, its also a factor in raising home values. Recent data shows that mixed-use transit oriented neighborhoods improve property values and over the years walkable communities have held and increased their value, even in turbulent real estate markets. Respondents in a recent NAR (National Association of Realtors®) survey confirmed that buyers prefer to live in a neighborhood with a mix of homes and businesses. Communities where people can live close to work, buy groceries and socialize – all without needing a car – are the magnets that attract many of today’s professionals, young families and downsizing buyers. Finally, there’s multi-family new construction news to report in downtown Bellevue. Foundation work is nearly complete and framing should start soon on the Metric Townhomes located just south of Main Street between 107th and 108th Avenues SE. The 23 townhomes will offer 2 and 3 bedroom floor plans (1,550 – 2,000+ SF) with a community park space. The first homes are scheduled for completion in spring 2016. Prices have not yet been released. If you’re like most buyers, you’ll need to obtain financing to purchase your next condo. Whether you’re buying a single family house or a condominium, your lender will need many of the same documents, however, there is extra documentation required when purchasing a condominium. PROOF OF LEGAL U.S. RESIDENCY IF YOU’RE NOT A U.S. CITIZEN – for permanent residents that means a green card. If you’re in the U.S. on another type of visa additional documentation may be requested. GIFT LETTER – If you received money to help with your home purchase, you’ll need to document it. Many first-time buyers receive gifts from family members. The lender will want a gift letter that will include information about the donor’s relationship to you, amount of the gift, date and purpose. ALIMONY OR CHILD SUPPORT – if you want to use those funds to qualify for the loan you may be asked for your divorce settlement as proof that your former spouse is paying regularly and verification that the payments continue for 2-3 more years. PROOF OF RESERVES – your lender will want to be sure you can afford to make payments once you’ve closed. Most will want to see enough cash to cover at least three months of payments. CANCELLED RENT CHECKS – If you don’t own another home you will be asked to prove you’ve paid your rent on time. That can usually be done with a verification form completed by a landlord or 12 months of cancelled rent checks. If you are buying a condominium, your lender will also need to see a copy of the homeowner association resale certificate, perhaps some of the financials and a copy of the community’s master insurance policy. The foreclosure crisis and recession brought about a number of changes in how mortgages are granted. The Ability to Pay Rule went into effect in January 2014. Borrowers now need to provide more documentation of income and assets so lenders can verify that you can, indeed, afford the house you are buying with the mortgage you want. Before you start your home search its recommended that you meet with a lender and be pre-approved for a mortgage loan. You’ll know exactly what type of loan program works best for your circumstances, what your interest rate will be and how much home you can afford to buy. If you get the paperwork out of the way before you find the perfect home, the process will go more smoothly and be far less stressful.